Experience one of the most unique Bar & Restaurants in the world. The Main Bar offers casual seating for Tea/Coffees, Drinks, Snacks & Casual Dining, on our weekend, lunch & dinner menus. 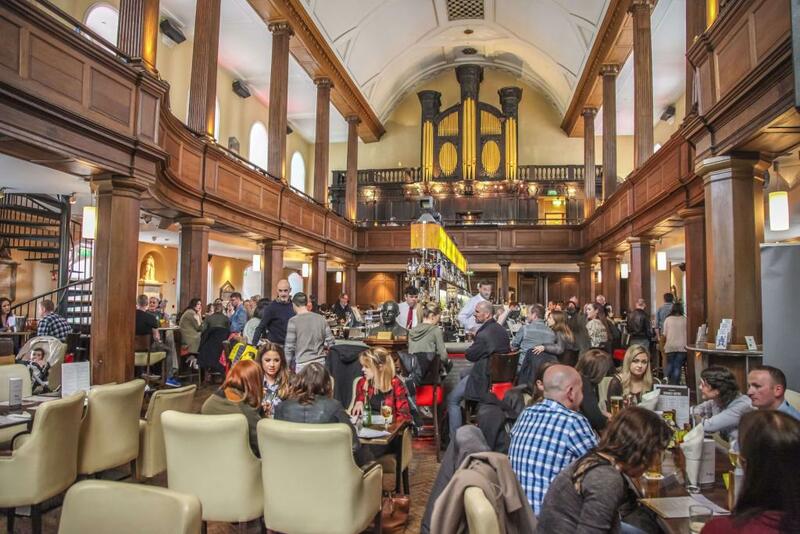 The Main Bar is also a popular hive of activity in the evening, with Live Irish Music and Dancing on Sunday to Wednesday from 7pm, and Drinks Specials and Top DJ’s on Thursday-Saturday. Dine in the contemporary setting of the Gallery upstairs or alternatively, eat casually from the Lunch and Evening Menus in the Main bar 7 days of the week. Discover our cocktails served with pride & flair, with a huge variety of ever changing craft beers on tap, specially selected Gins bursting with exotic botanicals. Whiskey from every corner of the globe, old and new. A sip of wine for every preference and a clink of bubbles for every possibility, all served by cheerful, professional staff in an original and unique interior that is both familiar & new. Find us open daily from 10:30am, watch the venue evolve throughout the day and enjoy the late bar, open until 3am Friday to Saturday with the best music and DJ’s to keep the party going!